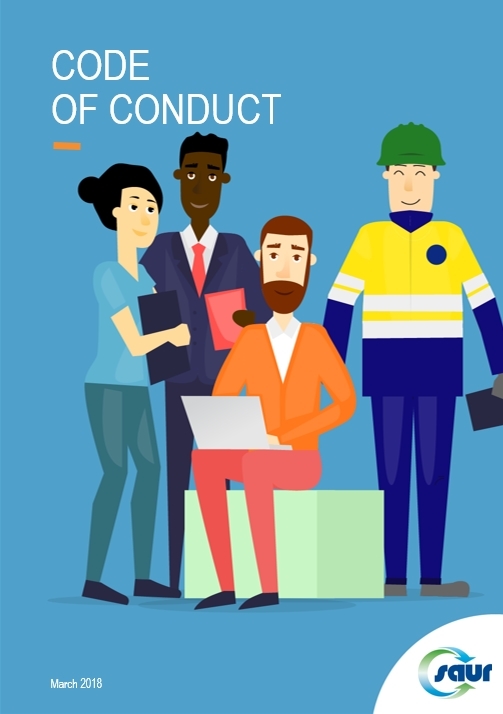 Whatever the business sector or region in which we operate, respect for ethical values, for principles of integrity and for the regulations applicable by each Group manager and employee lies at the very core of our DNA. We must also ensure that all our partners and co-contractors commit to respecting these fundamental values. Saur Group’s business activity must always be conducted in full compliance with international laws and standards, particularly when it comes to human rights and fundamental liberties, struggle against modern slavery, health and safety, labour law, respect for integrity in business life, and environmental protection.